Praying helps me as well. I find that I am able to move ahead when I have a clear mind, which praying give me. 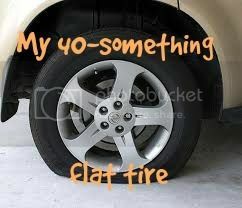 Good luck fixing your "flat". I will be praying with you!